The Ryobi 2-Cycle Gas Power Head features a full crank engine for a two times longer lifespan as well as a Zip Start carburetor for easier starting. 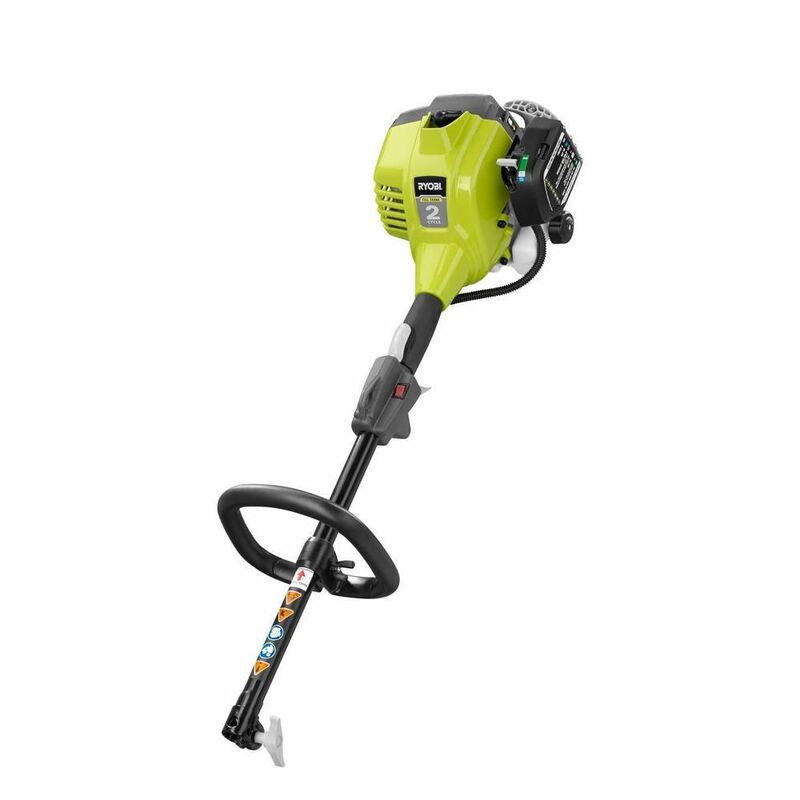 This power head accepts Ryobi Expand-It Universal Brand Fit attachments, simply attach an edger, a blower, or even a hedge trimmer to the power head and quickly move from project to project. Backed by a 3-year warranty, trust the Ryobi 2-Cycle Gas Power Head for any of your outdoor projects. With a powerful engine and heavy-duty handle and frame assembly, the ECHO 42.7 cc 1-Man Gas Auger helps you tackle any digging job. A heavy-duty handle and frame reduce vibration for comfortable use while working. This design is compatible with a wide range of auger diameters to accommodate versatile projects, even when digging through ice. 25cc Gas Powered Expand-It 2-Cycle Full Crank Gas Power Head The Ryobi 2-Cycle Gas Power Head features a full crank engine for a two times longer lifespan as well as a Zip Start carburetor for easier starting. This power head accepts Ryobi Expand-It Universal Brand Fit attachments, simply attach an edger, a blower, or even a hedge trimmer to the power head and quickly move from project to project. Backed by a 3-year warranty, trust the Ryobi 2-Cycle Gas Power Head for any of your outdoor projects. 25cc Gas Powered Expand-It 2-Cycle Full Crank Gas Power Head is rated 4.1 out of 5 by 605. Rated 5 out of 5 by YardGuy from Started in accordance with the instructions and ran well. Plenty of power. The collection of at... Started in accordance with the instructions and ran well. Plenty of power. The collection of attachments I have from various makes (weed trimmer, edger and tree trimmer) fit and ran well. Rated 3 out of 5 by yardman from This is my third one. The first (an earlier... This is my third one. The first (an earlier model) lasted 4 years and the second about the same. Keep buying because I've got most of the attachments and it is easier and maybe cheaper to buy new than hunt up a good repair service. Rated 1 out of 5 by Tac from The first three I purchased started the first time lost power and never started again hopefully f... The first three I purchased started the first time lost power and never started again hopefully fourth time's a charm. Rated 2 out of 5 by JP from I had to buy a new power unit because the... I had to buy a new power unit because the one I've had for a little over four years stopped working. To get it repaired would cost as much as a new power unit and I have most of the attachments so it was cheaper to buy a new one. Hope it lasts longer then the last one. Other than that, I'm happy with Ryobi. Put the gas/oil mix in it, primed and choked it and it started right up.